Beautiful Provence landscapes with olive groves in the Alpilles Regional Park. 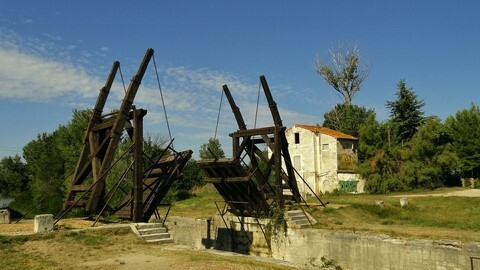 Transfers between Arles and the start of the first day's walk and after the last day's walk to Avignon. Les Alpilles means little Alps, but don't worry, the walking is easy to moderate exploring the wonderful villages in this stunning part of Provence, including St Remy de Provence, celebrated as the place where Van Gogh created 150 of his famous paintings. This Provence walking tour goes around and through the little Alps where limestone crags shine in the cloudless, blue sky, sheltering olive groves from the mistral winds. 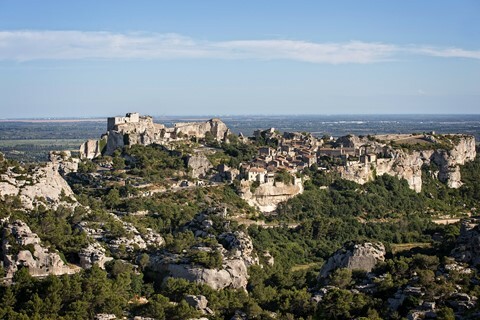 You’ll also explore another beautiful historic village - Baux de Provence perched atop a jagged ridge and crowned by its castle ruins. 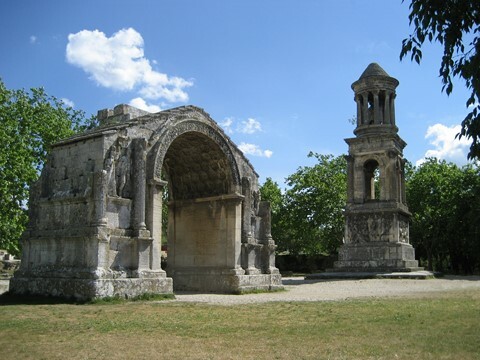 Your walking holiday starts by visiting Arles where you can visit its famous Roman amphiteatre, whilst the walking holiday finishes in Avignon, which includes such famous sites as the Palais des Papes and the Pont d’Avignon. Walking on this holiday is moderate in grade mainly due to the nature of the terrain which can be rocky, and because it is possible to do a longer option on one of the days. Otherwise the walking is easy for the most part in terms of distances and amount of ascent. Mainly on good paths, tracks and quiet lanes. Average distances are about 14km with about 250m of ascent. Some small sections can be steep. Maximum altitude is 400m in one day (550m on more difficult option). 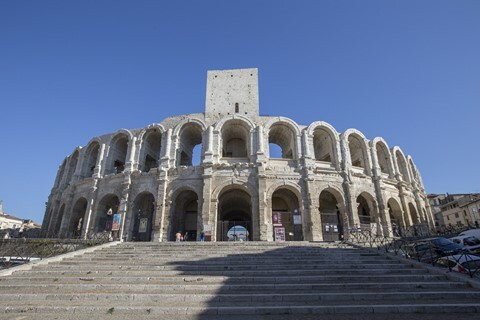 Explore Arles and its Roman treasures including its Roman Ampitheatre. Take in the atmosphere of this lively Provence town, Van Gogh’s second home. 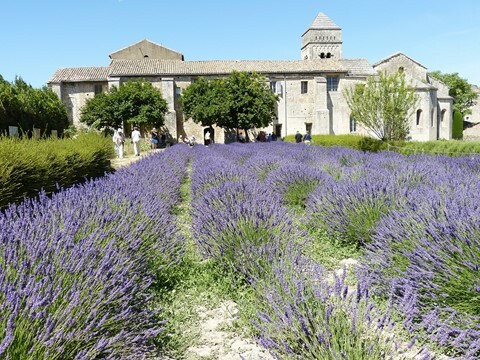 Explore Baux de Provence with it 22 architectural treasures classified as "Historic Monuments" (including the church, chateau, town-hall, hospital, chapels, houses, doorways etc. This car-free village has plenty of ancient houses that have been carefully restored, beautiful Renaissance facades and several magnificent "hotels particuliers". Above all, are the ruins of the citadelle which crown the hill. Visit the chateau ruins, cost about 8 euros. One of the must-see sites close to the village is the Carrieres de Lumieres, where artistic works are projected on enormous quarry walls. At the moment Van Gogh's works are being shown. Spend the day visiting St Remy en Provence and/or do an optional walk. Among the possible visits in St Remy is the Saint-Paul de Mausole monastery where Van Gogh created 150 paintings in a year. Vincent Van Gogh had been living in Arles during 1888-89. In May 1889 he was voluntarily confined in the Asylum of Saint Paul de Mausole where in a productive year he painted two of his most notable works: Starry Night and Self-Portrait. Saint Remy de Provence is also home to the historic remains of Glanum which was founded in the 3rd century BC, before control passed to the Romans under Julius Cesar. Two important monuments are visible next to the site: l'Arc de Triomphe and the Mausolee des Antiques. You have the choice of two relatively easy walks around St Remy, one staying low wandering through the olive groves and vineyards which inspired Van Gogh or one which climbs onto the Plateau de la Caume for wonderful views. Return to St Remy via the beautiful Lake Peirou. Holiday ends after breakfast. Option to book extra nights in Avignon. A mixture of small B&B style guest houses full of character providing wonderful home-cooked meals and charming friendly hotels. They are all 3 star or equivalent in quality, & are traditional properties offering an authentic and very comfortable stay. They are often in historic properties which have been beautifully renovated. Mixture of rural and village locations. Many have swimming pools. Train: Trains direct from Marseille, Lyon or Paris to Arles or change in Valence, Nimes or Avignon. Transfer to first walk on day 2. 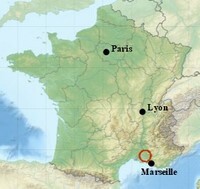 Flights: The closest airports are Avignon and Marseille. 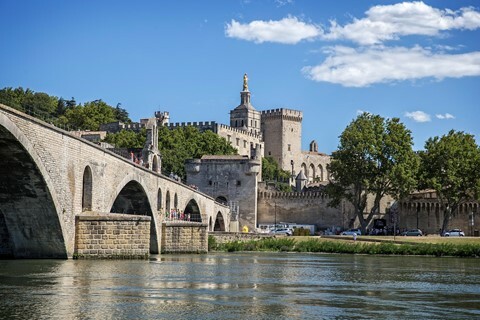 Regular flights from a number of UK airports to Avignon. Flybe has services from Exeter, Southampton, Birmingham, Manchester & Leeds. Fly to Marseille Marignane: There are regular flights from Bristol, Edinburgh, London Stansted and London Gatwick. Shuttle bus every 20 minutes between 6.30am and 8.50 pm for the station SNCF Marseille Saint-Charles. Holiday ends in Avignon. Train services towards Marseille, Nice, Lyon and Paris. We would be happy to book travel arrangements to France on your behalf for this self guided walking holiday. Once in France, the journey from Calais to Vaison la Romaine takes about 11 hours (excluding long breaks). Tolls amount to about 45 euros each way. Non secured parking is available in Vaison la Romain. Please inform us of this at the time of booking so when can provide you with directions to the first guest house. A short transfer would be provided at the end of your walking holiday to collect your car.